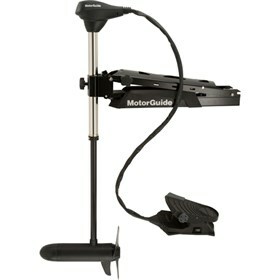 The MotorGuide X5-80FW is a foot control bow mount trolling motor. This motor performs best for quiet operation, rugged durability and precise control. It uses high-strength materials and a locking collar eliminate shaft from clicking. Variable Ratio Steering (VRS) technology is designed to give maximum control.